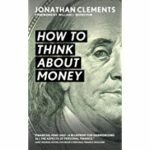 As the author of the Old Testament book Ecclesiastes, traditionally thought to be King Solomon, penned many years ago, “There is nothing new under the sun.” Humbling as it is, there is very little financial advice I’ve written about in this column for 25 years that is really proprietary. Many other personal financial advisors and authors intuitively embrace the same principles as I. 1. Demographics Are Destiny. Over the past 50 years, the U.S. economy has grown roughly three percentage points a year faster than inflation. Those days are over. Because of a shrinking workforce, economic growth is likely to be slower. Stocks probably won’t match their strong historical performance, though they will likely still outpace the returns from bonds and cash investments. 2. Start With Everything. Invest in a global market portfolio—the investable universe of stocks, bonds, and other investments owned collectively by all investors. 3. Ponder Your Paycheck. Your most valuable asset is your income-earning ability. Design your financial planning around that income source, or the lack thereof. If you are employed, you may need disability and life insurance. You also need to invest heavily in stocks because you don’t need income from their portfolio. If you are retired, you probably don’t need disability or life insurance. You do need to hold more bonds and cash now that you draw from your portfolio for income. 5. Fix Your Future. Our savings rate collapsed over the past three decades. Most Americans can’t save more because they simply spend too much. Clements says you need to aim for spending no more than 50% of your pretax income on living expenses, which allows you to save more and build more financial security. 6. Don’t Retire. Not only does an additional source of income stretch the longevity of your portfolio, but work can provide additional satisfaction and happiness. 7. Dying Isn’t the Problem. The risk is living longer than you ever imagined and running out of money before you run out of life. Clemens suggests delaying Social Security until at least age 66 and perhaps to age 70 (which I agree with) and purchasing lifetime income annuities (which is an area of disagreement for me). 8. Aim for Enough. The goal isn’t to die with the most toys, but to have enough money to lead the life you want. The author of the Song of Solomon did pen those word about there being nothing new under the sun, but that particular verse is found the the book of Ecclesiastes, Ch. 1 verse 9. Happy New Year, Rick.